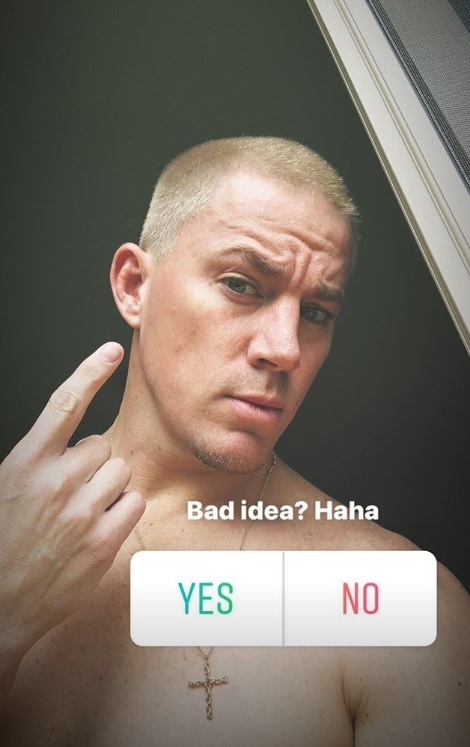 Channing Tatum's Goes For A Buzzed Crop Hair Cut With Platinum Blonde Hue And Asks Fans If It's A 'Yay' Or A 'Nay'! Just like that, Channing Tatum has also joined the bandwagon of men with platinum blonde locks. The 38-year-old actor has chosen to ditch his brown hair and bleached it platinum blonde instead. He does wonder whether it's a good idea or not. But he couldn't care less about the ones who think it's a bad idea! Tatum took to his Instagram story to reveal what he did to his hair. With a buzzed crop haircut, the actor bleached his hair platinum blonde. The actor is shirtless in the picture too, just stating! 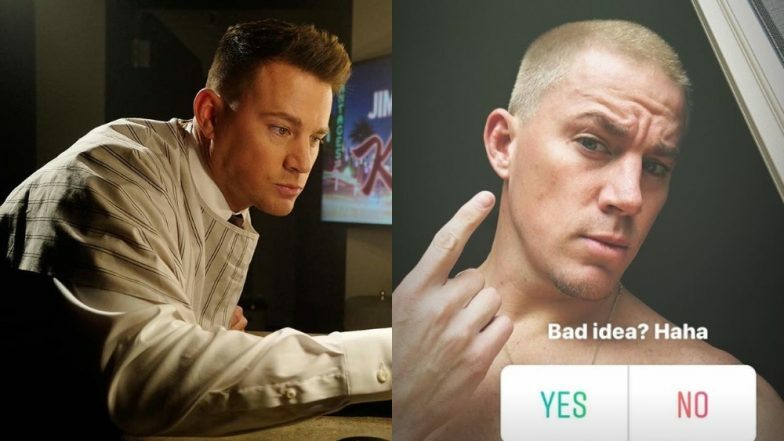 After having played with his new look, Channing Tatum asked his 17 million Instagram followers if the new look is a good idea or a bad idea with a poll. Perhaps he received a lot of nays on the poll as he followed up the story with a status that read, "Well, bad ideas are sort of my thing. So... (shrugging emoji)" Well, if you ask us, the actor looks like a cross between Justin Bieber and Eminem from their blonde buzzed crop haircut days. Just recently, Channing Tatum was spotted in London engaging in some PDA with his lady love, Jessie J. On the same, a source told ET, “Channing wants to do nothing but support Jessie J in every way," the insider shared. "He has described her as 'all goodness' and told his friends she is such 'a super talent.' He seems to have become her No. 1 fan. His friends are so happy he has found someone. She is showing the same support to him." The source further added, "Jessie J has had some very difficult relationships in the past, men who haven’t been supportive and she even sings about them in her music. This relationship is everything she has been searching for and she deserves it. Channing genuinely believes in her. Her friends are so happy because they see a positive change in her." Perhaps she is digging the look?